These are super healthy and taste great too! Wow! LOOKS HEALTHY AND DELICIOUS. 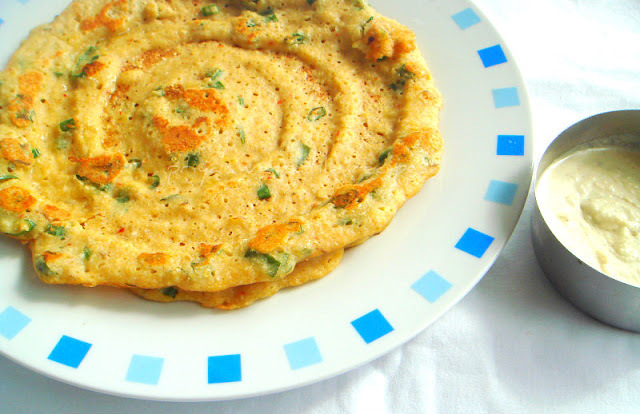 These are looking super healthy and nice breakfast items..
Dinner last night was adai... I have thinai maavu but did not have the brains to add it to adai... will try that next time. Thank you for the idea. yumm, delicious looking pancakes or are they crepes? Healthy and tasty adai,thanks for sharing. Health as usual..And I crave for this ! Looks yumm! Love that you made it with millet. Another perfectly good use of foxtail millet, kudos to you Priya! Delicious Adai. Love it you used healthy grain. I could have a couple right now! Thank you for contributing these nice crepes to Cooking with seeds.